​Intel Inside vs Swiss Made: Which is the smartwatch mark of excellence? The Withings Activité bent over backwards to make sure it was, the Apple Watch isn't and, without really trying that hard, the Toblerone chocolate bar automatically is; but the future for the 'Swiss Made' brand looks uncertain. 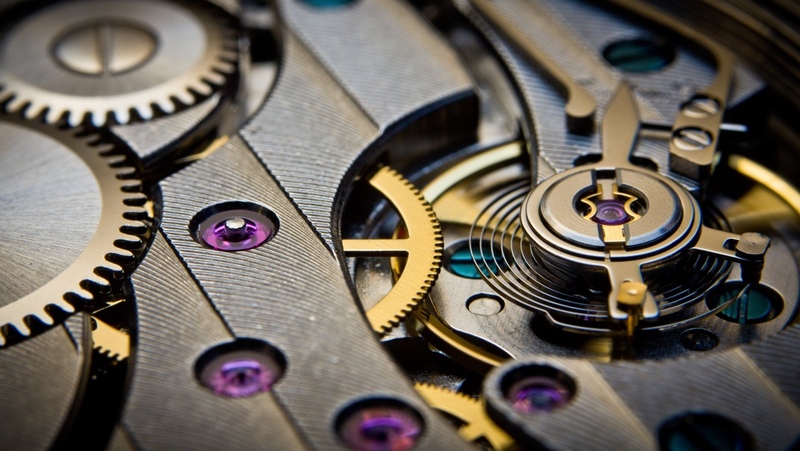 When it comes to watches - by far and away the most significant Swiss Made items - it's all about the engine; the heart of the device that makes it all tick known as the movement. If the movement is Swiss, if the watch casing is Swiss, if the parts are assembled in Switzerland and the final checks made there too, then it can carry the Swiss Made mark. For mechanical watches - watches made from clockwork and a spring to keep the passage of time; that needed to be wound and cleaned periodically - Swiss Made meant that they worked. The Swiss were the watchmaking masters and it stood for accuracy and reliability of time keeping on top of the promise that the thing would last. Then came turmoil. In the 1970s and the more accurate, cheaper to make, quartz-powered electric wristwatches from Japan arrived. Swiss Made: A cut above? It was in the face of this horological revolution that Switzerland passed its laws defining what it was to be Swiss Made, and in the process, reinvented its watches as a cut above the likes of Seiko and Citizen. "We have insurance policies for all kinds of things, and Swiss Made gives you an assurance of quality and longevity," the CEO of affordable Swiss watch manufacturer Mondaine André Bernheim told Wareable. "I think it's like our mountains here in Switzerland," he jokes." They have been here for millions of years and they don't move. We are not like an ocean. We don't have any coast. So we don't see those big waves and we don't move like them. We don't go up down. We are more stable and I think that's what the consumer appreciates about Swiss Made watches. "We're not just here for today and tomorrow, and that's something different; it's continuity, it's design, it's quality and, of course, prestige as well. But we continue to live with what our father started at Mondaine, with prestige but at a reasonable price level." A relatively rare breed in the world of the Swiss industry, Mondaine is still an independent watchmaking house. Founded by André's father, Erwin, in 1967, the idea was to create a brand that was a "Volkswagen of the watch industry", as he described it; affordable, reliable, here to stay. Mondaine can charge £300 for its timepieces because only 50% of their movements need to be made in Switzerland for it to still wear the coveted trademark. It makes them cheaper to produce and affordable to buy. At the same time, it's hard to find a brand that's more Swiss. Mondaine sells two main lines of wristwatches. The first is the Railway watch which is the design used by the Swiss Railway platform clocks - the one which Apple "borrowed" for its iOS clock - and the second is the style based on the typeface Helvetica which is, of course, the Latin word for Swiss. It's, perhaps, therefore something of a surprise that such a traditional watchmaker would be the first of the Swiss companies to launch a smartwatch - the Mondaine Helvetica No.1 Smart - a surprise not least of all to its company chairman. "I didn't even think about doing a smartwatch because, in my mind, a smartwatch was a small mobile phone on your wrist," confesses Bernheim. "We focus on clean designs coming from the industrial Switzerland, so 'why would I want to make a computer for the wrist?' I thought." It was a meeting with Manufacture Movements Technologies (MMT), the Swiss company at the heart of the Helvetica No.1 Smart's connected tech movement, that changed Bernheim's mind. A quick exchange of nods between Andre and his brother, and company co-owner, Ronnie, after MMT's presentation and the pair were ready to sign. "If we could do a watch in our line, adding enough new functions, connecting it to new features that are compelling in today's world - that's something I'd like to go with. That really convinced me and it takes us into a new era of watchmaking without changing who we are." "It's another era where connectivity to another device is starting and you see that in all other mobile devices which interlink with your music system or heating system at home. But with a watch - which you carry on your body all the time, which is a highly emotional part of our accessories - it's the start of something important." And as a traditional Swiss watchmaker, Bernheim feels Mondaine, and those like them, have the advantage over the tech companies. "They are more used to the half moving, non-emotional kind of devices, whereas we are always looking at the long term for the consumer. We don't make products that are out of date or not usable any more after a short period of time. A mobile phone works for a year or two years and then it's time to change. That's not true with a watch. People don't throw away watches even if they're broken." Mondaine's plan for its device's longevity is based around the upgradeable nature of the MMT movement. Much like a regular watch, you'll take your No. 1 Smart for an overhaul every two years or so when the battery can be changed and any hardware and software additions made. It's the kind of idea that's always sounded good in technology past but has rarely managed to deliver with dramatic alterations in standards from ports to displays often rendering older hardware entirely useless. Laptops without USB sockets and televisions missing HD panels soon became redundant. But, with smartwatches, it's a mission that might just make it. These aren't hotrod gadgets. Crack one open and you'll find that the processors and memory inside are the kinds of things that have been around for a long time already. Far from the turbo-charged spec-fests that have sold TVs and phones up until now, a smartwatch must look fantastic first and foremost and that's where the Swiss Made companies already have a head start. "The Apple Watch, the Pebbles and the Samsungs might get people used to wearing watches who haven't worn them up until now. Sooner or later, though, they will probably decide they've had enough of wearing a mobile phone on their wrist and go to more or a traditional looking watch and that's where we are." So concludes Bernheim, with as reasonable sounding prediction of the wearables market as those who say otherwise, but Mondaine's ideals of Swiss heritage are not as highly matched by all of its compatriots. Tag Heuer's move into the smartwatch space has everyone excited. But unlike Mondaine, it has traded the Swiss Made hallmark for that of Intel Inside. "The decision was not difficult to make at all, as it's our message to be avant garde and it belongs to our DNA," the CEO of Tag Heuer, Jean-Claude Biver, told Wareable. "What was a more difficult decision to make was the decision of how we would produce this watch and which would be the best partners to help us make the Tag Heuer connected watch a success." The much-anticipated device, which Biver refers to as the Tag Heuer Carrera Wearable 01, was announced at the Baselworld watch show as a partnership between Google, Intel and Tag; the first for its Android platform, the second for its silicon knowhow and the third for its watch design. On paper it's certainly an impressive set of minds but with such big players involved and so ideas from so many departments, it's equally possible that they'll end up with a camel instead of a horse. Plus, the trade-off is that Tag cannot emblazon that Swiss Made stamp of approval across this significant creation because so much of it is manufactured and assembled elsewhere. For Biver, though, it's a question of swapping one mark for another. "For a traditional mechanical watch, Swiss Made is a reference and criteria of reliability and quality. For a connected watch, Android from Google and Intel Inside are the criteria of quality and reliability." As for whether or not these modern trademarks carry anything like the weight of Swiss Made – even within their own industries – well, we doubt it. Neither Android from Google nor Intel Inside have as good a track record of delivering quality, longevity and reliability. Ask most people and you'll find their pasts littered with duff Intel PCs and carbuncles of an Android smartphone. "We could not miss the connected watch," explained Biver. "From the first minute we had no other choice than to integrate all the computational side into the Tag Heuer DNA. If we would not have been able to achieve this, then the project would have had to be stopped. There is no other choice than to have all of our watchmaking emotion and flair into the connected watch," he continued. So, while to be Swiss Made ensures quality, reliability, design and longevity; it doesn't necessarily follow that all things not trademarked as such cannot be created with same care and detail. A smartwatch's movement might not need be Swiss Made to be a winner but its casing - for now - probably must be, and even if Tag can't used the national mark, it's trusting that its own brand is more important. For companies like Withings and Mondaine, Swiss Made lends them the household recognition and consumer trust that they otherwise don't quite have. For a superstar of the watchmaking world, though, it's of far less significance. Now someone pass us the Toblerone.